Harvard University Press, 9780674445444, 216pp. This is the little book that started a revolution, making women's voices heard, in their own right and with their own integrity, for virtually the first time in social scientific theorizing about women. Its impact was immediate and continues to this day, in the academic world and beyond. 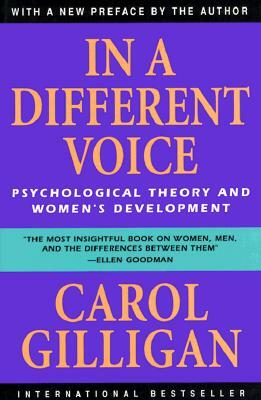 Translated into sixteen languages, with more than 700,000 copies sold around the world, In a Different Voice has inspired new research, new educational initiatives, and political debate and helped many women and men to see themselves and each other in a different light.Carol Gilligan believes that psychology has persistently and systematically misunderstood women their motives, their moral commitments, the course of their psychological growth, and their special view of what is important in life. Here she sets out to correct psychology's misperceptions and refocus its view of female personality. The result is truly a tour de force, which may well reshape much of what psychology now has to say about female experience.